Sometimes I forget my iPad at home. Has that ever happened to you? I’m sure it has and I’m also positive that you’ve experienced a situation or two when a speech therapy student made a comment to you like, “Aw, but you promised that we could use the iPad today.” We speech-language pathologists have a lot on our minds, so it only makes sense that sometimes we forget things. However, I created a bunch of fantastic coloring sheets that can cover you in the event that you forget your beloved iPad. 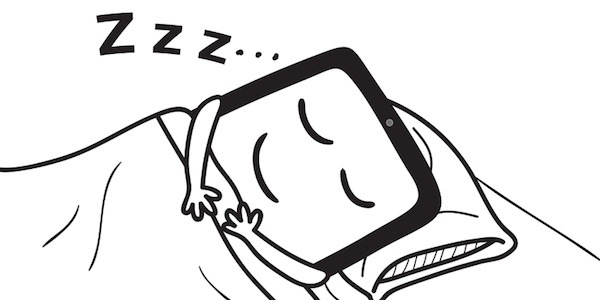 Shhh, the iPad is sleeping. Sorry, no iPad today because it went on vacation somewhere warm. We all could benefit from a solid vacation, heck, even an iPad could benefit from a break. Click HERE to download a coloring sheet that highlights an iPad soaking up a beautiful, sunny day. While my students color this sheet, I often ask some receptive questions, such as, “Show me the coconuts.” or “Where is the surfboard?” Also, feel free to ask your students what types of activities they might enjoy doing if they went on a beach vacation. Would they build sandcastles, go swimming, eat ice cream? Sorry, no iPad today because it went on vacation somewhere cold. Forgetting your iPad does not have to be the end of the world. In fact, thanks to the coloring sheets that I’ve shared with you, forgetting your iPad can be the beginning of a fun and effective speech therapy activity. So, what do you think? Do you think your kiddos would chuckle at this activity? Do you think you will give these coloring sheets a try? I hope so! Please let me know how it goes and I look forward to hearing from you. If you want to get really creative, I have put together a blank iPad sheet where you and your students can invent your own reasons as to why the speech room iPad is missing. Click HERE to download it. Hooray!